Working with employers, we've found most prefer to schedule time scales that match their pay schedules. For most of us that means working in 2 or 4 week shift sprints. So we changed how Shiftiez displays rosters to reflect that preference with out new multi week view. You can now toggle between a single or 2 week view. 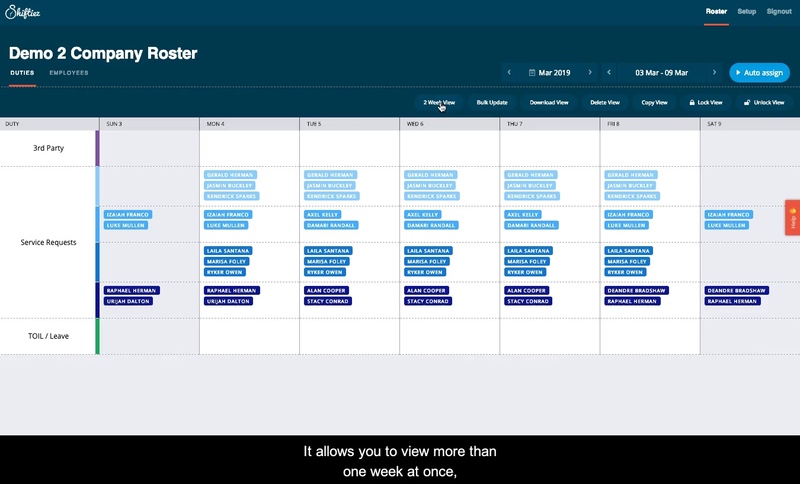 This lets you get finer control over a particular week if you need it or, work at the multi week level making changes to information in bigger blocks. We make a video about how it works below. If you are interested in find out more about Shiftiez or discuss rostering challenges, please Contact Us.